Courtesy of Virginia Select Realty. We warmly invite you to visit this amazing, bucolic setting only minutes away from the small town of Ashland.This house is like having the very best of both worlds: country-quiet & very close proximity to the bustling city of Richmond.Located in Hanover County on the crystal-clear Stagg Creek, this masterfully constructed home has all of the amenities you could possibly desire. Nestled in Virginia woodlands the screened-in back porch provides a truly unique vista. It’s like having your own private treehouse. You’ll see hummingbirds, woodpeckers, doves & spot deer, foxes & raccoon. And that’s just the outside! Inside, you’ll enjoy a chef’s dream kitchen with state-of-the-art appliances & plenty of room to entertain. Or, you can sit privately in the expansive living area & savor the tranquility. Bedrooms have large closets & breath-taking views. There is a finished walk-in attic as well as a finished walk-out basement. Though custom, the home remains a blank canvas. Add an infinity pool or greenhouse & your dream home can be truly complete. Located right off of the South Anna River, this home is simply amazing. There is a Country Club within three miles & many nearby golf courses. Please, send me more information on this property: MLS# 1902282 – $647,000 – 14368 Horseshoe Ford Road, Hanover, VA 23005. 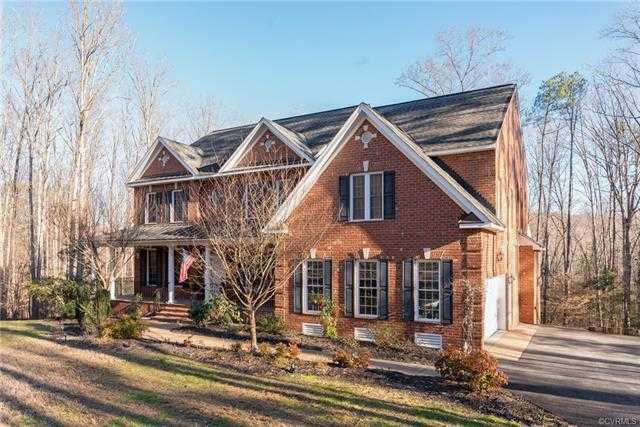 I would like to schedule a showing appointment for this property: MLS# 1902282 – $647,000 – 14368 Horseshoe Ford Road, Hanover, VA 23005.